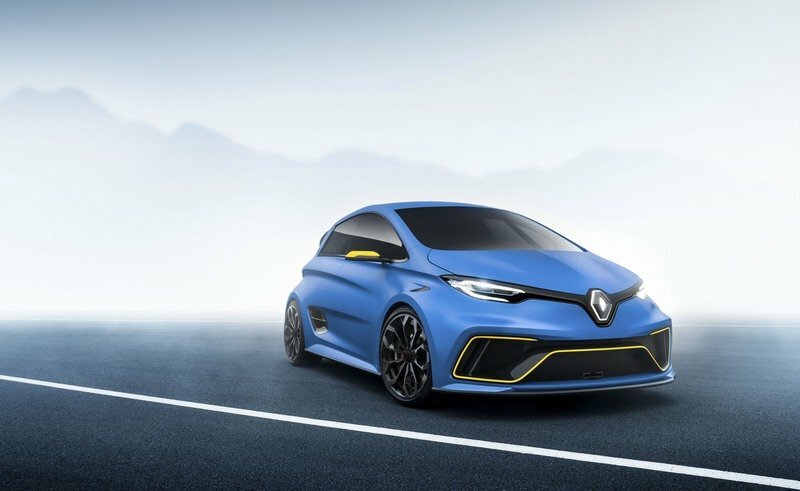 This Renault ZOE Concept Is as Quick as the Lamborghini Huracán! 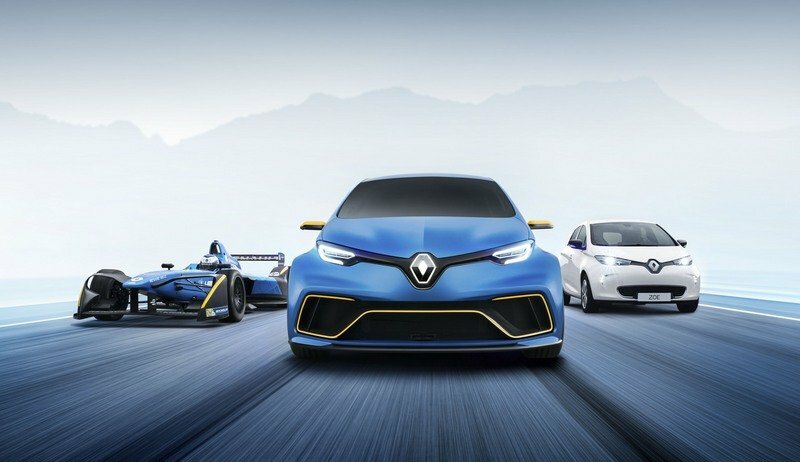 Often slammed for producing cheap cars that do not compare with premium offerings from Germany, Renault is one of the very few automakers that actually has a solid racing program. 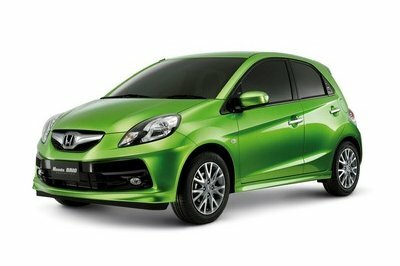 Involved in Formula One, endurance racing, as well as several single-seat or production-based series, the French carmaker builds a few outstanding performance vehicles. 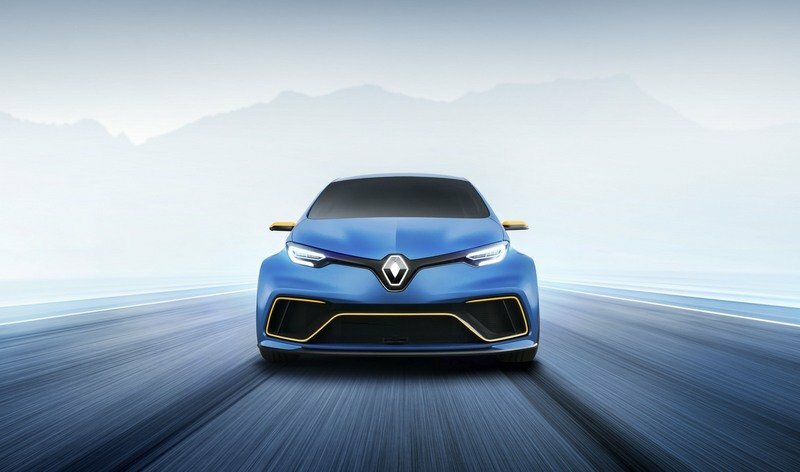 When it comes to road-legal cars, the Clio and Megane are the best RenaultSport products you can buy, and a third model based on the ZOE could be underway. Launched at the 2017 Geneva Motor Show, the ZOE e-sport concept is a standard hatchback on steroids in terms of both looks and performance. 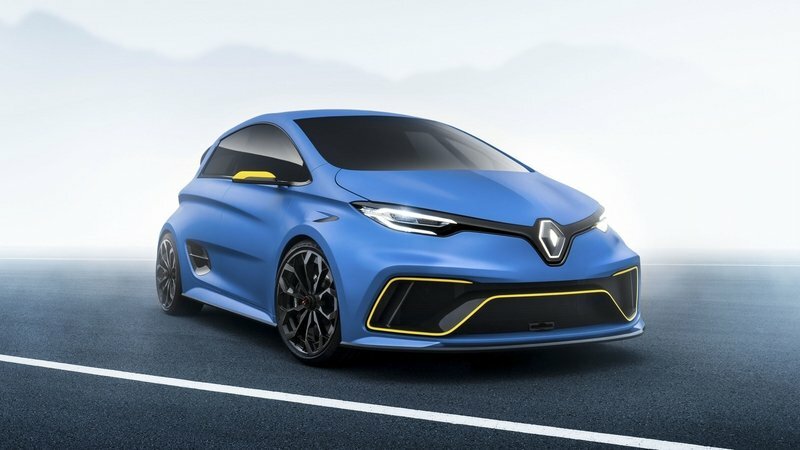 It’s like Renault used everything it learned from the Clio RS to build a pocket rocket, but this concept is different from any other performance model from the brand. What sets it apart? The drivetrain is electric. Specifically, the ZOE e-sport concept draws on Renault’s three years of success in the FIA Formula E Championship and uses a similar drivetrain. Featuring a lightweight body structure made of carbon-fiber and two electric motors that deliver close to 460 horsepower and 640 Nm (472 pound-feet) of torque, the car accelerates from standstill to 62 mph in only 3.2 seconds. As in Formula E, an air-and-water cooling system with a front-mounted radiator is used to make sure that the battery and control systems operate at the ideal temperature, while the tubular steel chassis is based on those used by RenaultSport cars competing in hill climbs and ice races. The Öhlins four-way adjustable dampers are also borrowed from motorsport and can be adjusted to suit different tracks or driving styles, similar to those offered in the Renault Megane R.S. 275 Trophy-R. The unique drivetrain is backed by a custom exterior wrapped in a livery that matches that of the Formula E Renault e.dams team. The Satin Blue body has flashes of bright yellow on the front bumper, mirror caps, and rear diffuser. The carbon-fiber finish bumpers, lip spoiler, and air intake surrounds, and the 20-inch diamond-cut aluminum wheels in black and Shadow Chrome complete the look. 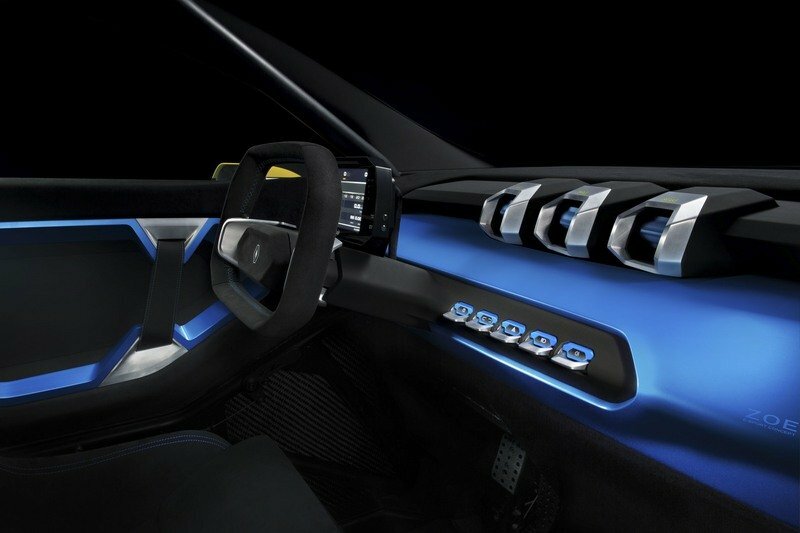 The interior was also transformed to reflect the sportier nature of the concept, receiving Recaro bucket seats and a rectangular steering wheel, both wrapped in Alcantara, blue accents, and aluminum trim. 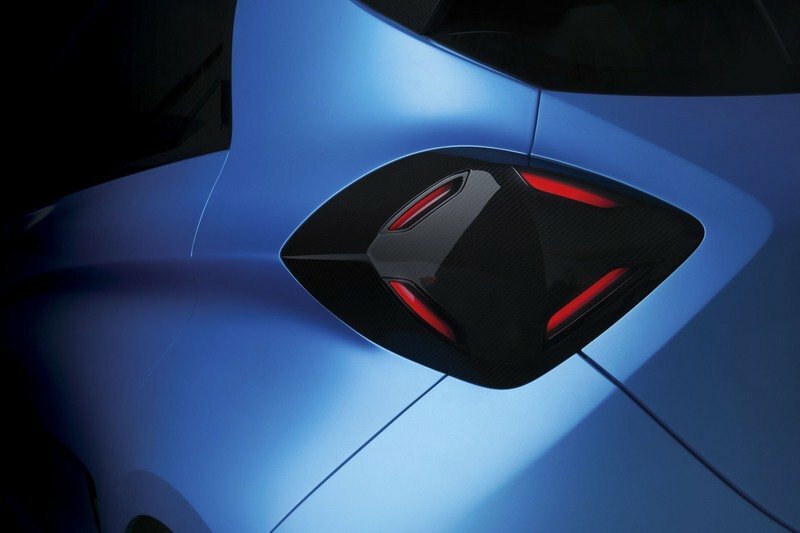 Naturally, the first question that comes to mind is whether Renault is planning to put the ZOE e-sport in production or not. 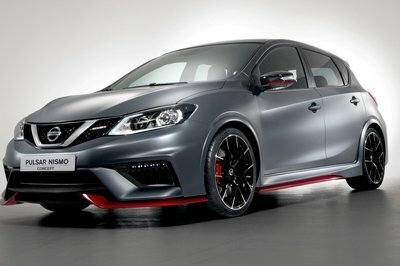 Sadly, the French firm had nothing to say about it, so it’s safe to assume that it won’t happen anytime soon. And if it does, it probably won’t have as much horsepower, and it will cost a little fortune. Still, a performance-oriented ZOE with an electric drivetrain is a fantastic idea, and I hope Renault finds the resources for a mass-produced version. Renault launched a full range of EVs in 2012 and continues to stand out as the market leader today. 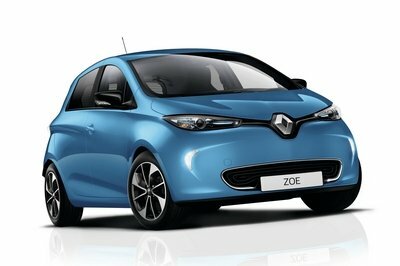 The brand continues to explore every facet of electric motoring thanks to a programme spearheaded by the ZOE. The Renault ZOE is an all-electric car that delivers a smooth, agile ride. Uniquely enjoyable to drive, it is built to the highest environmental standards. The New Renault ZOE premiered at the 2016 Paris Motor Show and marks an important step in the development of mass-market electric vehicles. Its driving range is 250 miles (NEDC), equivalent to real-world range of around 186 miles in summer and 124 miles in winter. The New Z.E.40 battery takes the worry out of charging the car while opening up a wider spectrum of journey options. The New ZOE also comes with a new, improved suite of connected services to make electric motoring easier, including Z.E. Trip and Z.E. Pass. 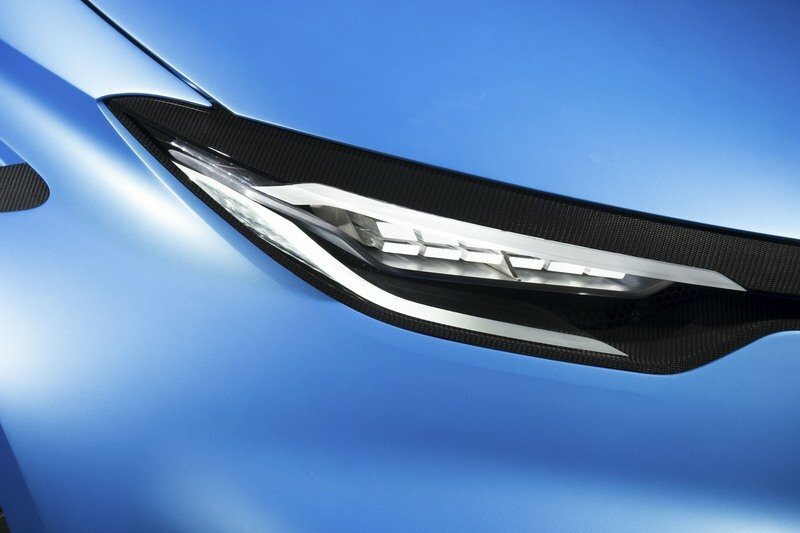 The ZOE e-sport concept’s stiff, lightweight structure allows for high performance, with superb grip and handling. 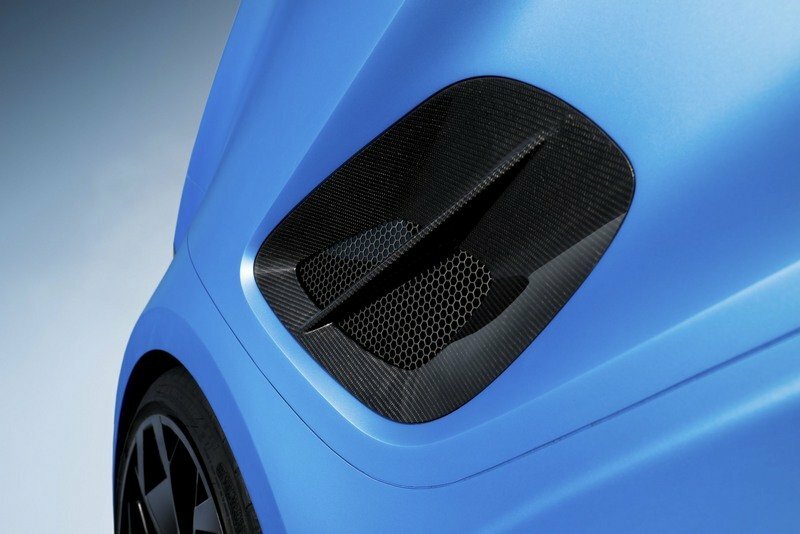 Like the Renault e.dams Formula E single-seater, the bodywork is made from carbon fibre. 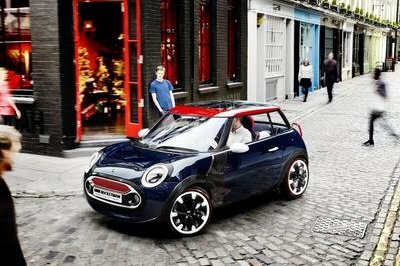 The chassis features a tubular steel roll cage with protective Kevlar panels. 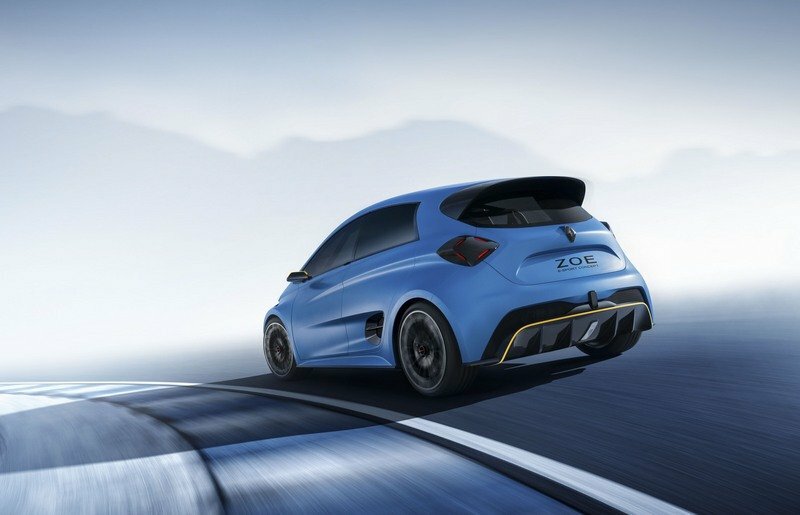 It complies with FIA safety standards, allowing the ZOE e-sport concept to be used on race tracks. In addition to its status as an expert in both electric road cars and electric motor racing, Groupe Renault is one of the driving forces behind the growth of the FIA Formula E Championship. It has been involved in the series as a technical and sporting partner since the competition’s inaugural season in 2014/2015. Renault e.dams is the team with the highest number of titles in the FIA Formula E Championship, setting the standard in the discipline with two Team crowns, one Driver’s title, plus 10 race wins. The Renault team is led by four-time Formula 1 world champion Alain Prost and DAMS founder Jean-Paul Driot. Its drivers for Season 3 are the defending champion Sébastien Buemi and Nicolas Prost, and the team is targeting further glory in 2017. Renault e.dams benefits from the technical support of Renault Sport Racing, Renault’s motorsport department which has enjoyed successful campaigns in every form of motorsport. The Renault Z.E.16 single-seater features a SPARK-Renault SRT_01E chassis and is powered by a Z.E.16 powerplant developed by Renault Sport Racing at its facility in Viry-Châtillon, near Paris. This powertrain is one of the grid’s most powerful and technically advanced units. 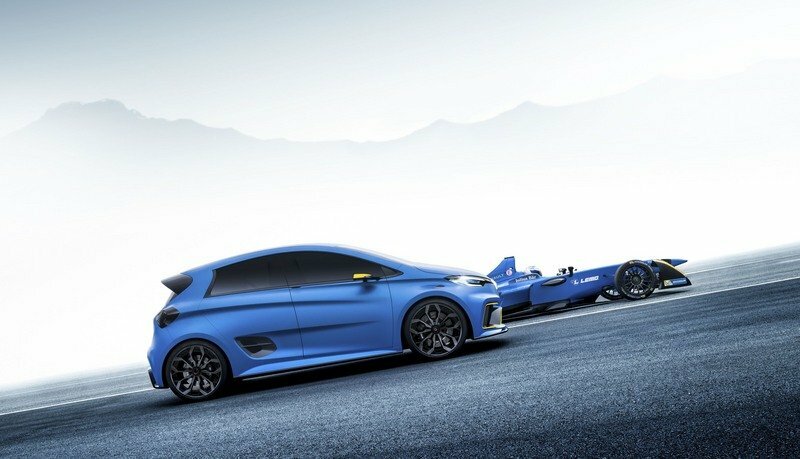 The design and set-up of the ZOE e-sport concept’s chassis benefit greatly from the expert input of Renault Sport’ Racing’s specialists and their work on Groupe Renault’s most extreme performance cars. 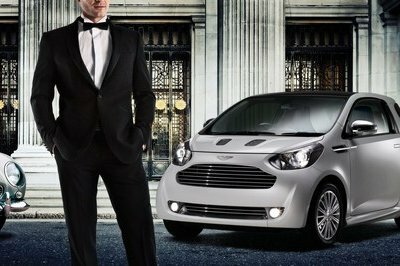 The ZOE supermini is now available with a high-energy-density Z.E. 40 battery, and this large storage capacity converts directly into an extended range of 250 miles (NEDC). This translates to a real-world range of 186 miles in summer and 124 miles in cold winter conditions. When fitted with the Z.E. 40 battery, the ZOE boasts the longest driving range of any mass-market fully electric car, yet it is still the market’s most affordable electric car. Orders have risen by nearly 40 per cent in Europe since the new version was released in October 2016. Since 2015, the ZOE has been fitted with an all-Renault motor that combines outstanding efficiency with optimal electronic battery management, which restricts the level of electricity consumption on the move without reducing power. Driving a Renault electric vehicle is punchy, smooth and reassuring. The all-electric ZOE delivers all these sensations thanks the brand’s EV technology and to management of the delivery of power to the wheels, geared toward driving enjoyment. The ZOE takes a fresh approach to electric mobility by ensuring a dynamic, noise- and vibrations-free experience, with no gearshifts required, and it emits no carbon dioxide or other regulated pollutants during road use. The ZOE delivers its full potential instantly in the form of crisp, jar-free pull-away and mid-range acceleration performance. High torque is available from very low revs. The R90 motor delivers peak torque of 225Nm in a fraction of a second, allowing the ZOE to accelerate from rest to 31mph (50kph) – the most frequently used range when motoring in built-up areas – in just four seconds. Being able to pull away swiftly from traffic lights, along with slick manoeuvring in slow-moving traffic and safe overtaking are all facilitated by the ZOE’s immediate response.